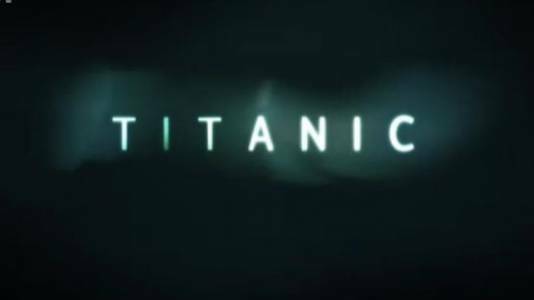 Titanic is a four-part television costume drama created by producer Nigel Stafford-Clark and written by Julian Fellowes to mark the one hundredth anniversary of the world's most famous maritime disaster on 15 April 1912. 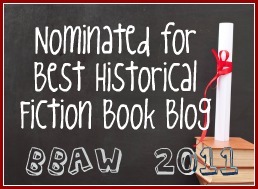 It sets out to paint a portrait of a whole society, telling the stories of a wide range of characters, both real and imagined, from every social level. Their narratives are developed and gradually interwoven over the first three episodes, each of which ends in a cliff-hanger as the ship begins to founder. The fourth and final episode will draw all of the different stories together and reveal to the audience who survives. This show apparently has all ready aired the first three episodes in the UK and Canada. The last episode will air on the 15th In other countries you will have to check your local listings. It will contain 89 main characters. If you are interested in who appears you can see a list on Wikipedia. I have to admit that I was really excited about the Titanic mini-series. I know the story is predictable, something the guy pointed out when I sat down to watch the first episode, but there is something about bringing famous historical events to life on the screen that is more effective than just reading about it. I know it sounds terrible coming from a reader, but I can't help it. In 1997 I went to see Titanic because I wanted to see the historical aspects of the event play out on the screen. There was something amazing about the chance to see the ship even if it was just a set in a movie. When I heard about the mini-series expected out this year it was for that reason. I have seen the Titanic over and over again in various mediums, but it still amazed me when you view it for the first time. From what I can gather this is basically Downton Abbey set on the Titanic. I enjoyed the upstairs/downstairs look of it all because it is an original way to handle the story. Once the second episode aired I was caught up in things much more. I think the first episode just rushed by so fast and so much happened that it was almost an overload. The second episode concentrates on different people, but it still goes back and fills in a bit of the story from the first episode. I find that I am more invested in their stories and looking forward to how everything plays out in the last two episodes. Having now watched the last two episodes, I have to admit that I was very impressed with the mini-series overall. I wish that it was longer, actually! If you get the chance to watch it, you should check it out for sure! According to IMDb, this show: "Details how the luxury liner was built in Belfast by the White Star Lines over 15 years from 1897, and at a cost of 105 lives." I have no idea when it is on in Canada, though. I have yet to see a commercial and I cannot really find any info online about it. It is set to air in April, so hopefully I will get a chance to see it soon. I couldn't even really find a trailer. The search results always turned out to be the other mini-series. If you have any info please share! Kelly, here's the commercial for Titanic Blood & Steel http://titanicbloodandsteel.com/ I must admit I'm curious about it. 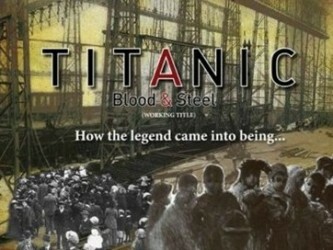 I don't remember seeing Titanic: Blood and Steel advertised here in the states. Wikipedia is saying for the Fall 2012, but they have no source for that, but since CBC is coproducer, maybe you'll get it before us. The Fellowes one is very interesting. I think all the flashback type sequences probably worked better seeing episodes on different nights. Here ABC aired episodes 1-3 on one night. Fall 2012? I am getting the impression it is more a television show than a mini-series because there are 12 episodes... So, maybe when the fall season arrives we will hear more. I also only caught the last episode and wished I had known it was a miniseries. They did advertise it though either during or after the show and I checked it out on Amazon.com. It's being released on blu-ray/DVD on 4/24/12. on Amazon as I thoroughly enjoyed what I saw! I thought it was a bit rushed, but I enjoyed it overall... I am glad to hear it will be released on DVD! What are the names of the ragtime songs in the miniseries? Music is not my strong point. I know they play 'Autumn' at least twice... That's a waltz, though. I watched the closing credits, but did not see the music listed. The violins were playing a rag that seemed to be maybe new, and was not in the other movie that I recall. hm, did you try Googling it? I tried every search I could think of with no results. Perhaps someone will find the answer for me. I'll keep searching! Maybe when the set comes out on DVD there will be something about the music in the extra features. Thanks for the information on these two shows - I will have to keep an eye out for them or for re-runs. I too love seeing historical events on the screen, mostly to see how other people interpret the events and usually they look beautiful. some minor security issues with my latest website and I'd like to find something more safeguarded. Do you have any suggestions?